Includes oil and filter change, fluid top-off, tire pressure set & Multi-point vehicle inspection. Up to 5 quarts of oil and screw on filter. Additional quarts of oil and cartridge filters extra. Can not be combined with any other offers, discounts or promotions. Additional Taxes an fees may apply. Valid for Kia & Hyundai vehicles only. Please present coupon at time of write up. 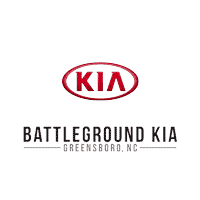 Includes connecting to KIA specific code retrieval system to run a complete system scan for initial inspection. Additional In-depth diagnostics may be required for issue assessment and resolution. See advisor for complete details. Tax & shop fees additional. Cannot be combined with other offers. Valid on KIA vehicles only. Please present coupon at time of write up. Includes oil and filter change, Tire rotation fluid top-off, tire pressure set & Multi-point vehicle inspection. Up to 5qts of oil and screw on filter. Additional quarts of oil and cartridge filters extra. Can not be combined with any other offers, discounts or promotions. Additional Taxes an fees may apply. Valid for kia/hyundai vehicles only. Please present coupon at time of write up. Perform Fast fuel system service to remove carbon deposits from fuel injectors and pistons to promote proper fuel economy. $30 off per axle. Tax & shop fees additional. Cannot be combined with other offers. Replace brake pads, inspect rotors, callipers & hoses. Lubricate all applicable brake components. Rotor resurfacing or replacement at additional cost. See advisor for complete details. Additional Taxes an fees may apply. Valid for Kia & Hyundai vehicles only. Please present coupon at time of write up. Tax & shop fees additional. Cannot be combined with other offers. Please present coupon at time of write up.